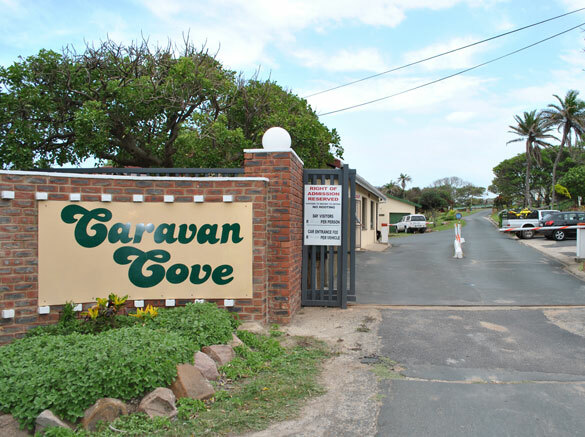 Caravan Cove is ideally situated on the Upper KwaZulu-Natal South Coast, only about 6 km south of the bustling Holiday Town of Scottburgh. Perched virtually on the shores of the Indian Ocean at Rocky Bay, and well established in undisturbed indigenous sub tropical bush, Caravan Cove is the supreme holiday destination for the whole family. Caravan Cove is a pleasure resort with beautiful plants, large shady trees, a large variety of bird life and a safe and pleasant environment. The park offers you a variety of sites ranging from sunny to full shade. With most sites being grassed and protected against the wind. All sites have 15amp power points. All roads are tarred. With the owners permission and discretion dogs (weighing up to 5 Kgs) will be permitted (prior permission to be obtained) only during low season on caravan/tent sites. We have a variety of comfortable chalets sleeping 2-8 people. All the chalets have separate bathrooms/showers and kitchens. We have five neat and clean tiled ablution blocks with an ample supply of hot water and adjacent scullery facilities. We offer a fully-fledged laundry with various services offered.